The Origami storage basket is a design by Cecilie Manz, whose work relies on the use of natural materials. 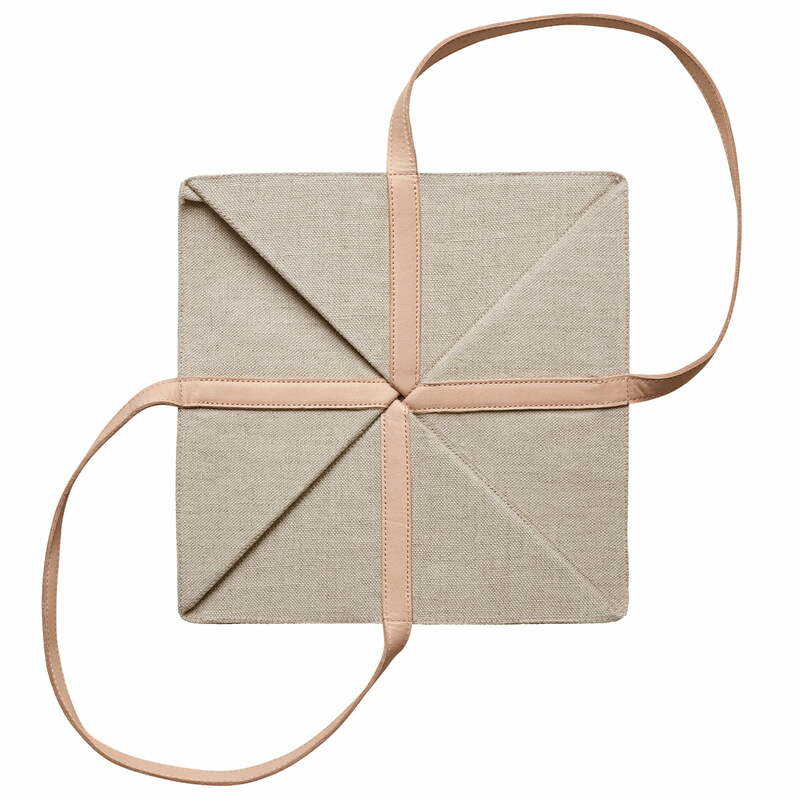 The box itself is made of sturdy linen fabric that, when not in use, can simply be folded thanks to the predetermined creases. The design is complemented by light brown leather handles, that are functional as well as having an aesthetic appeal. When necessary, the storage basket can easily be carried from one room to another. 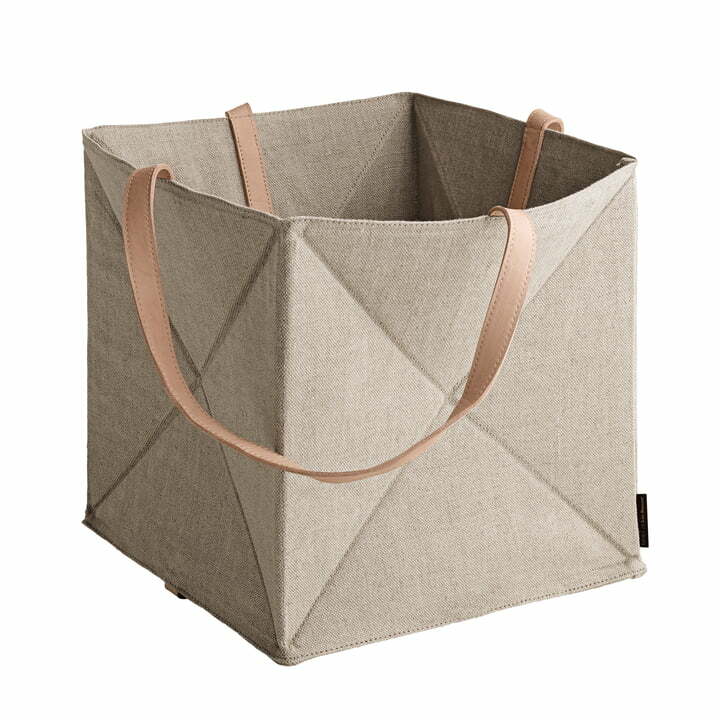 Blankets, towels, toys or small items of all kinds can be perfectly stowed in the Origami storage basket by Fritz Hansen. 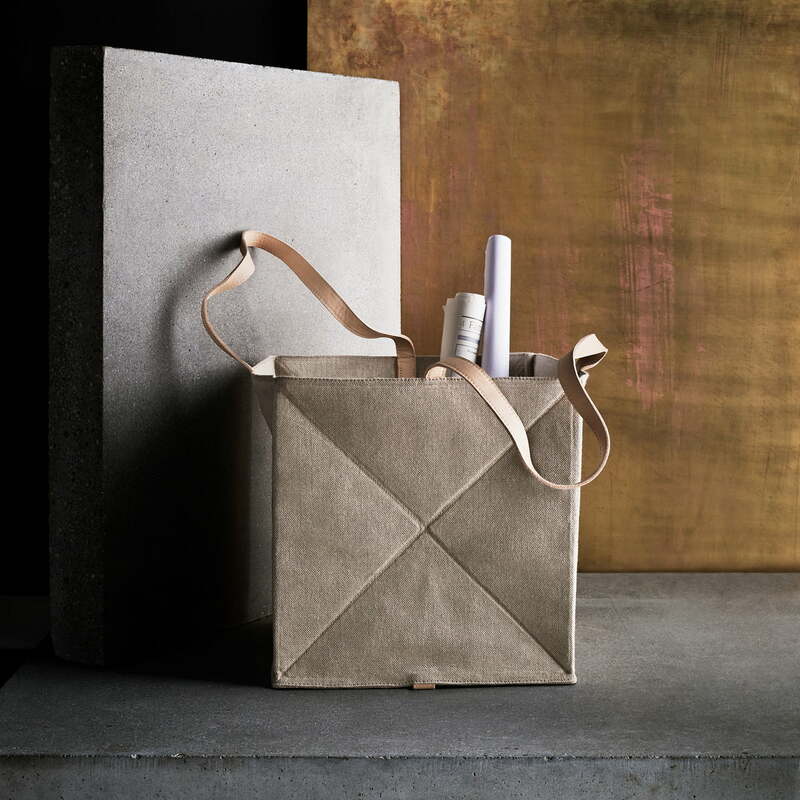 Isolated product image of the Fritz Hansen - Origami storage basket H 29 cm, linen / natural leather. 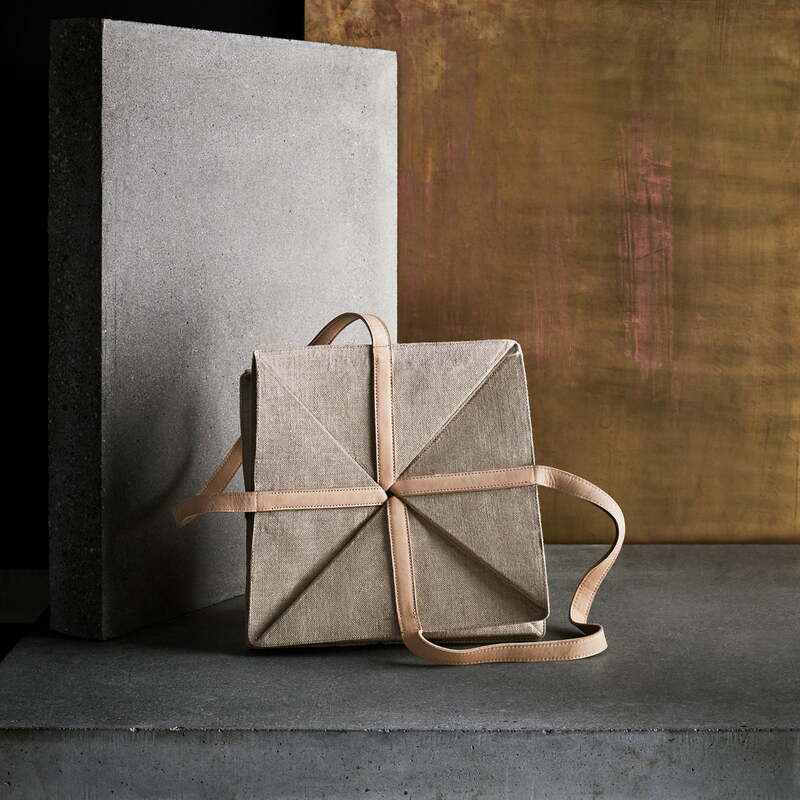 The origami storage basket is a design by Cecilie Manz, whose work relies on the use of natural materials. Isolated product image of the Fritz Hansen - Origami storage basket. When not in use the basket can easily be folded in a space-saving way thanks to the predetermined creases. Lifestyle product image of the Fritz Hansen - Origami storage basket. The basket made of sturdy canvas is ideal to keep your space looking tidy and to keep various items at hand. Lifestyle product image of the Fritz Hansen - Origami storage basket. The shapely basket made of natural materials is perfect to store household textiles and various smaller items.